Hey, lovelies! I'm feeling really excited now that summer is finally here (even though since the summer's started three days ago, we've only had about fifteen minutes of sunshine so far...)! Typically, I don't tend to change up my makeup depending on the season, and I'm pretty bad at following the latest beauty trends. However, since my makeup collection keeps expanding with every payday, I've decided to mix things up a bit and introduce more of a seasonal rotation. 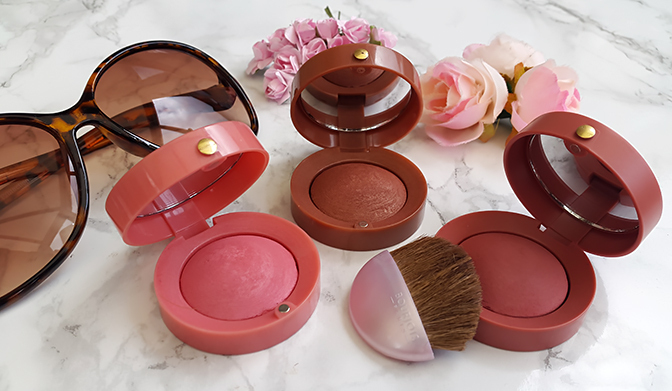 Whilst I enjoy sticking to the same sort of shades all year round, I think that summer is a good opportunity to go a little brighter with your makeup. 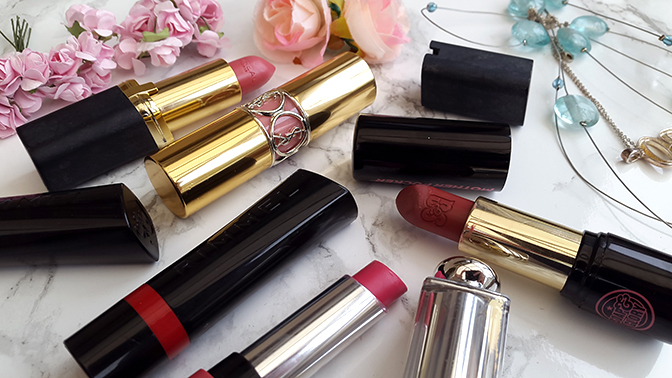 Today, I'm very excited to share with you a few of my favourite summer lipstick picks, which are all about vibrant pinks, reds, and feminine nudes. Hope you enjoy! Argan oil - what is it, how to use it and where to buy it? Hello, jelly beans! 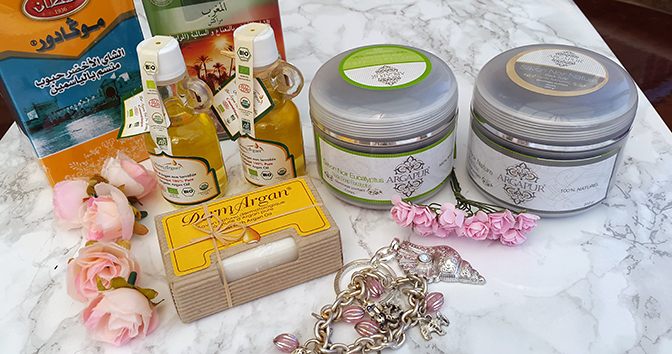 As promised, today's post is going to be all about argan oil - its benefits, uses, and tips on how to ensure you buy the best quality stuff (without spending a fortune). During our trip to Morocco (which is where argan oil originates from) I had the pleasure to learn a lot about the 'liquid gold', and witness its production first-hand. We visited an argan oil cooperative in a small village outside of Marrakesh, where local women work to produce the oil. It is a labour-intensive process, which involves smashing and grinding nuts from argan trees to produce a thick paste. The paste feels a little like pizza dough (trust me to make a comparison to pizza! ), which is then drained away to extract pure oil. From what we've learned, it takes days of hard manual work to produce just the smallest amount of oil. 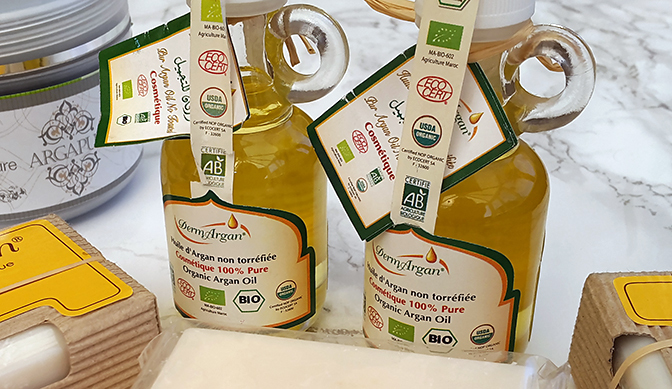 The argan oil cooperative we visited had its own shop attached to it, with plenty of locally produced argan goodies of all kind - from pure oils to soaps, perfumes and shampoos. Everything was lovely, but also very expensive, so I ended up purchasing a small soap made from argan paste as a souvenir. Hey, lovelies! 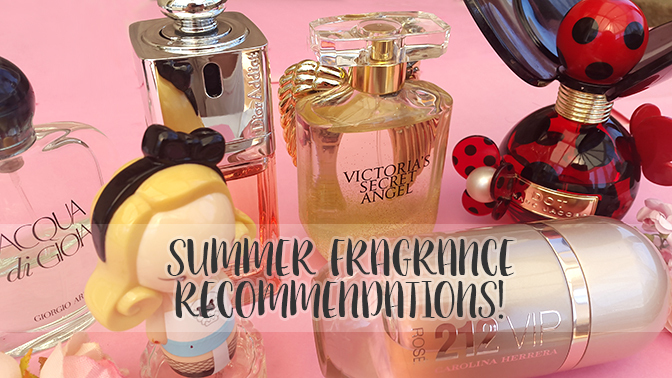 With summer just around the corner, I'm very excited to be bringing you my seasonal perfume recommendations. Personally, I think that this time of year is perfect for scents that are light, citrusy and refreshing. Hot temperatures tend to intensify fragrance notes, which means that a lot of the more potent scents can be a little overwhelming in warmer weather. My personal favourite summer perfume notes include lemon, grapefruit, coconut and peony rose, all of which will feature in today's list. Hope you enjoy this season's recommendations! Hello there, my lovely muffins! It feels amazing to get back into blogging again. I've missed you all very much! I'll be sure to catch up with all your lovely blogs over the next few days. Our holiday was amazing - it was great to take some time off together and celebrate our anniversary in such a special way. Morocco is a beautiful country full of rich and vibrant culture, and some truly unforgettable sights. Honestly, it's been difficult to get back into the daily grind after such a great holiday, but being able to blog again makes it all worth it! Today, I'd like to tell you a little bit more about our trip, and show you a few beauty items (since this is still a beauty blog!) I picked up in Morocco. Hope you enjoy!